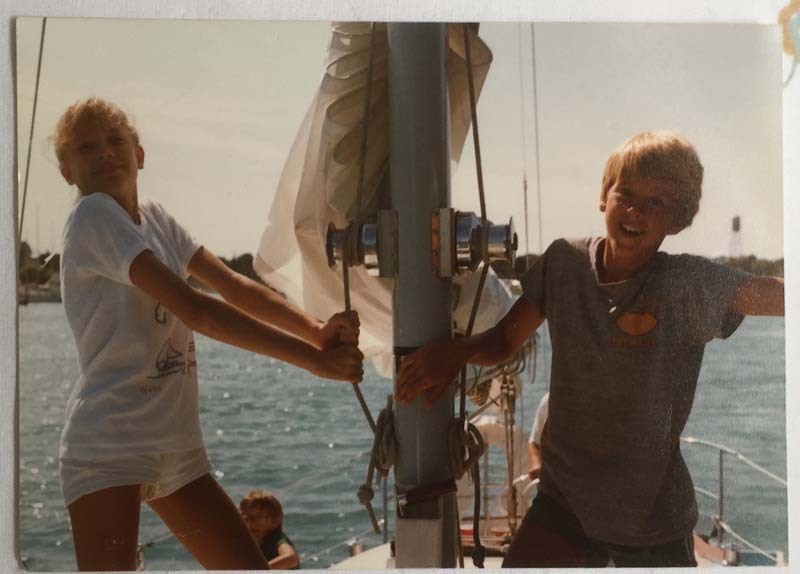 It all began before Captain Randy was a teenager and he went on a sailing holiday with some family friends aboard a 42 foot something-or-other to Macinac Island, but only made it as far as Harbor Springs. Didn’t matter. That was it. He was all in. This was the life he wanted to lead. He simply needed to grow up, go to college, earn some dough, and find the right boat (and as an added bonus, the right girl). He did grow up (well, chronologically), went to college, started earning some dough, and began the search for the right boat. Then he stumbled upon a life-long mate who was easily persuaded to follow his dream. They got married in 2000, built a life in Lake Tahoe predicated on living in small spaces and not accumulating a lot of stuff, so the ultimate transition to living aboard wouldn’t be too difficult (easier said than done — what do you do with the couch, the desk, and all those CDs?). They bought a boat in 2002 (see “Da Boat”), placed her in a charter program, first in Annapolis, MD (where she first landed upon arrival from France), then in the Caribbean out of a small operation called CYOA (Caribbean Yacht Owners Association). There she stayed for most of the next 5 years. I found this interesting and accurate – nice! That’s what we were going for, Bill. Or was it “short and sweet?” Oh wait, that’s Jody. Ha! See what I did there?